"The method is diabolically clever and the effect on the audience is incredible. There is NO WAY back for them." "A Billet to the Brain is Great! It's a fooler that can be carried around in your pocket with ordinary items. This Yet ANOTHER great effect by LokI"
USEFUL Information You CAN Use from a Mind Reading Exercise to a Book-Test. They will BELIEVE that your Eyes were Covered and Closed the WHOLE time. And Take "A Billet to the Brain". 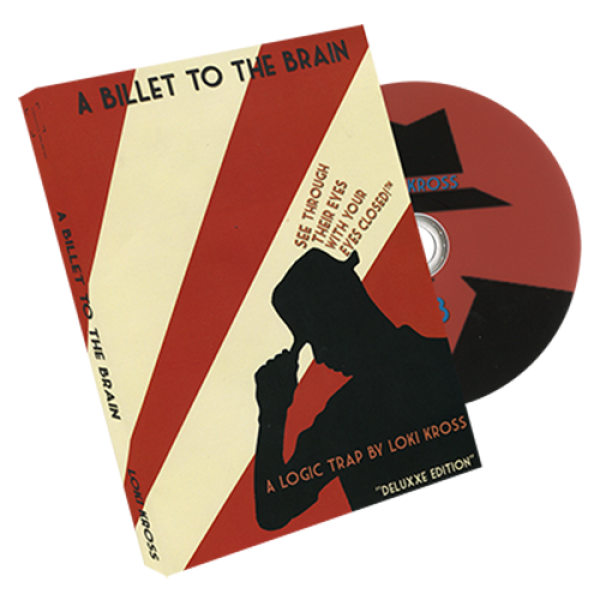 Order "A Billet to the Brain" today and receive the eBook "REDACTED< I>"! "REDACTED" is filled with Scripts, Tips, and Justifications by LokI Kross; along with Peter "The Perceptionist" Turner. Including a New Routine by Luca Volpe that is Insanely DIRECT, Removing many of the Moves and the need to have your Eyes Covered; for those who prefer a more Traditional Approach!